In a continuing effort to engage the community, Santa Clarita Valley Sheriff’s deputies are taking part in a Tweet-Along on Friday, March 22. “As part of our ongoing effort to interact with the public we serve, we are using social medcia to give residents a glimpse inside the way deputies work to keep our community safe,” said SCV Sheriff’s Deputy Josh Dubin. 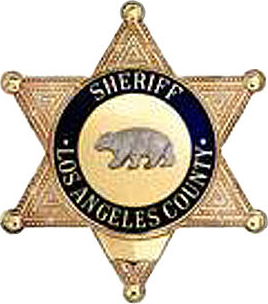 Deputies from the Santa Clarita Valley Sheriff’s Station will join more than 100 participating agencies across six countries to take to Twitter, according to a Sheriff’s Station news release. Starting at 8 a.m., law enforcement agencies around the world will connect via Twitter to participate in a 24-hour Tweet-a-thon to bring attention to the use of social media by law enforcement, the statement read. Agencies will tweet using the same hashtag, #poltwt, to create awareness about police work and issues police face, as well as to promote the use of social media in law enforcement. “We are excited to bring together police agencies around the world in this first of its kind social media event,” said Lauri Stevens, founder of LAwS Communications and organizer of the Global Police Tweet-a-thon, in a statement. “We hope it sends the message to non-law enforcement that their police officers are up to speed with social media, and that they should use the channel to talk with police officers and to be stewards of public safety,” she said. There are currently more than 100 agencies participating from the U.S., Canada, UK, Sweden, Iceland and Australia. Any law enforcement agency can join the Tweet-a-thon and tweet any portion of the 24-hour period. For a list of participating agencies, click [here]. For a Google map of participating police agencies, click [here].